One of the great things about owning an Apple Watch is you can easily swap its wristband for a different design. That's perfect for when you want to use your smartwatch at the gym, as well as at more formal occasions. Switching out the watch band is easy enough, once you know how. Here's how to change an Apple Watch band. 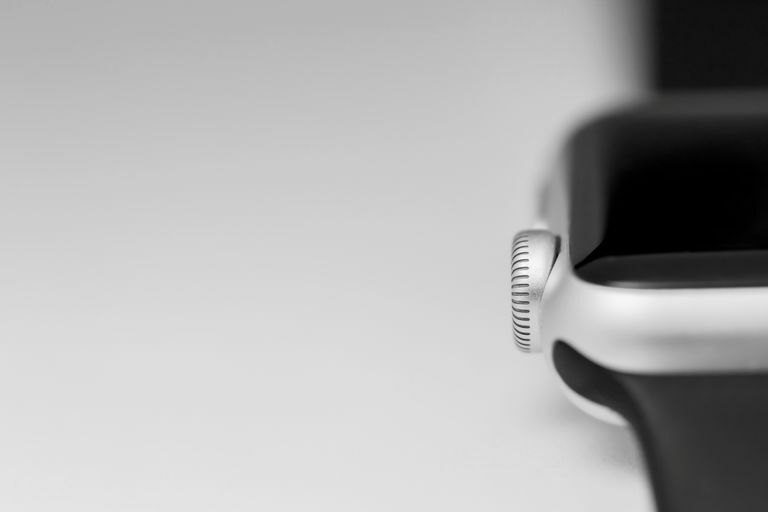 The Apple Watch doesn't use a standard watch band. You need to use a watch strap specifically made for it. All Apple Watches use the same type. These instructions apply to the Apple Watch 1st generation, Series 1, Series 2, Series 3, and Series 4. Starting out, you need to be able to take off your Apple Watch's original wrist strap. It's quite a straight forward process. Never wear your Apple Watch if the band is sliding. It's not safe on your wrist and may slip off. Place your Apple Watch face down on a smooth and clean surface. Ideally, a micro-fiber cloth or soft mat on a desk top is the best surface to use. Make sure your Apple Watch is switched off so you don't accidentally tap anything. Hold down the band release button on the back of the Apple Watch with your fingertip or fingernail. There are two band release buttons for either strap. They're located at the top and bottom of the back of the Apple Watch. The buttons are the same color as the rest of the back of the Apple Watch, but they're fairly easy to spot. While holding the button, slide the band across to remove it. Careful sliding is useful here rather than doing it too quickly. It's a snug fit. Once the band slides out, you can release the band release button. If the band doesn't slide out, try pressing the band release button again and make sure you hold it down. Repeat the same process for the other half of the Apple Watch/the remaining strap. Inserting a new band is even easier than removing the old one. There's no need to hold the band release button when you install a new wrist band. Make sure the small text on the back of the new band is facing you. Tilt the new wrist band a little so it's in line with the angle of the Apple Watch's wrist strap slot. Never force the band into the slot. If you're doing it correctly, no force should be required. Additionally, don't push the band in at an angle other than the natural angle and placement the Apple Watch steers you towards. Slide the new band in until you feel and hear a soft click. If you don't feel or hear a click, try sliding the band back out, then go back in. It should be very simple to do.